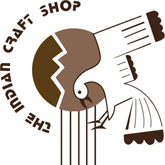 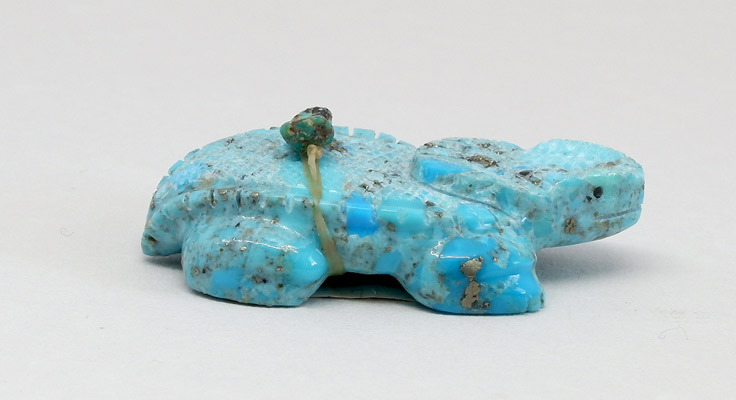 Zuni artist, Lavies Natewa, hand carved this charming horned toad fetish in a beautiful blue turquoise stone. 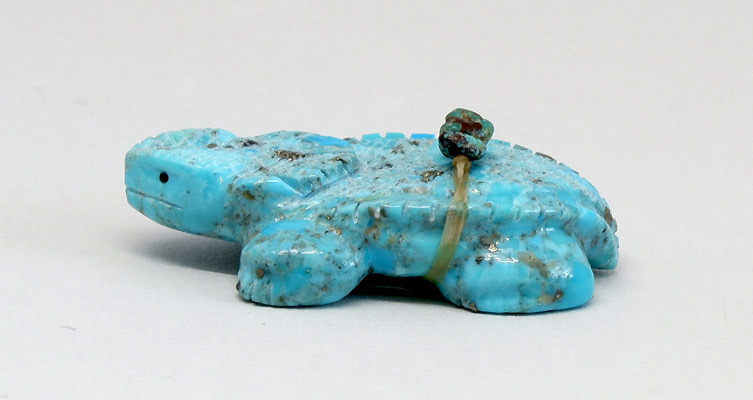 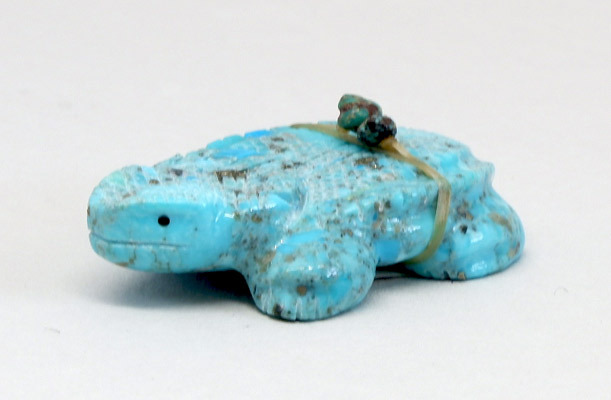 On its back are carefully carved scales joined by a bundle of two turquoise beads. 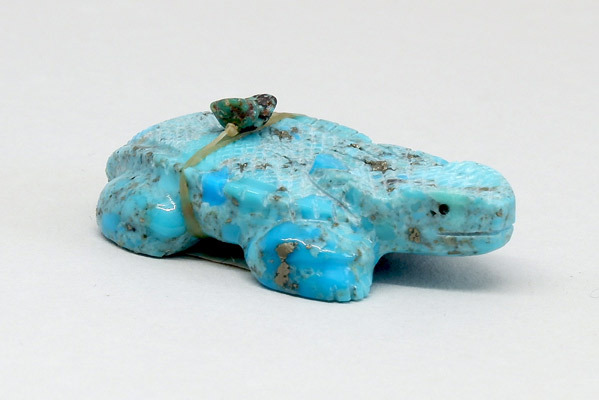 It is a lovely representation of this little creature that is so loved in the Southwest. Height: 0.5", Length: 1 7/8", Width: 1 1/8"